The second day, we gathered at lobby in our hotel at 7:00 a.m., after breakfast. 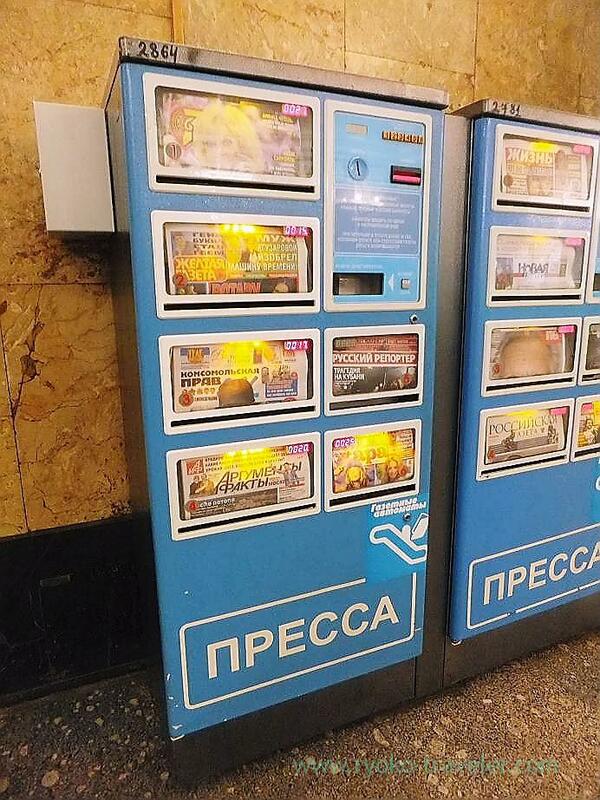 Sightseeing in Moscow at last. 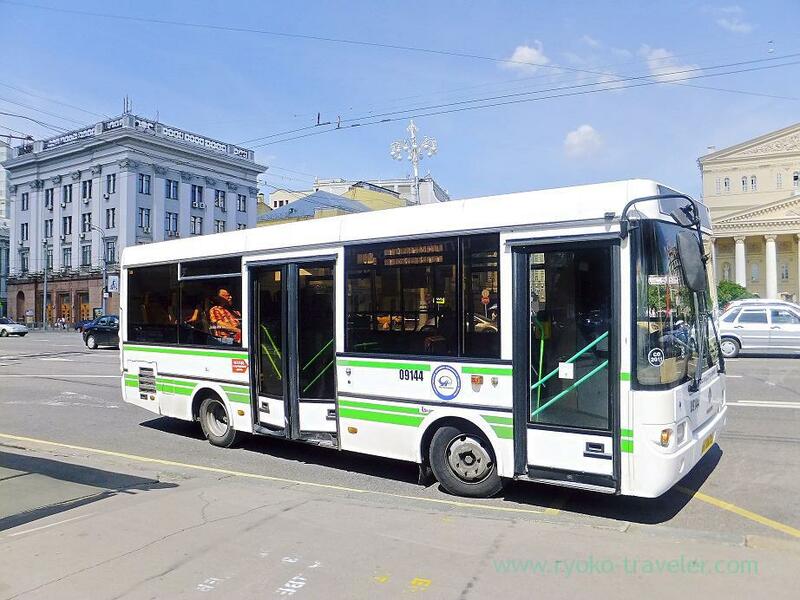 I got into our bus with excitement, and our bus took us to the center part of Moscow. First of all, we went toward subway station for seeing its interor. 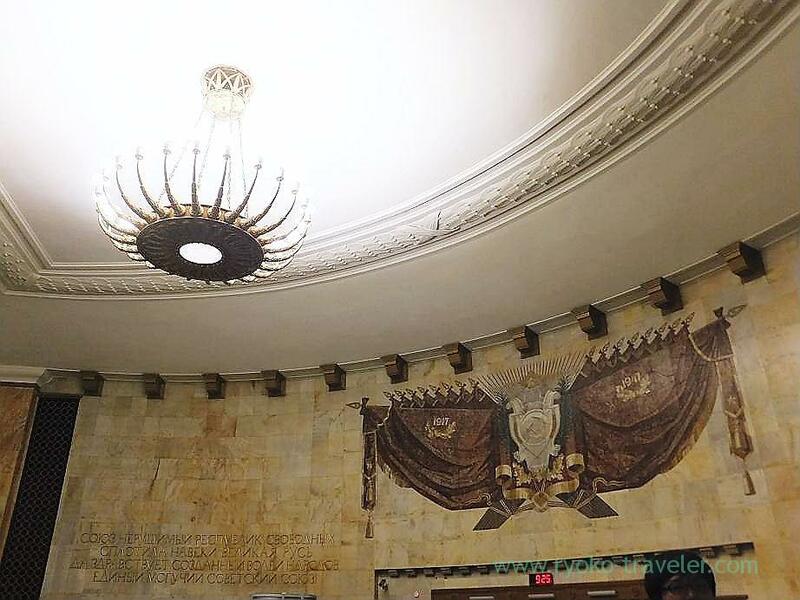 I heard that the interior of metro stations in Russia is called “Underground palace” , because it is so beautiful and gorgeous. So, I was excited to see it. What caught my eyes on the way to the subway station was …. 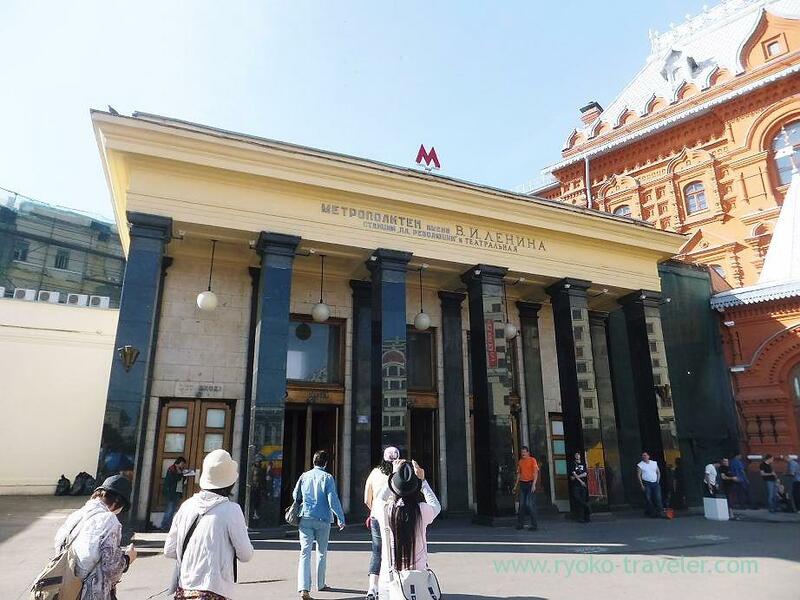 Russia is in the short high season, and it was Saturday, so a large number of tourists comes from in and outside Russia. There were a lot of car along the street. Heavy traffic. It took much time to central part of the city. This “м” is an initial letter from “метро”. The mark of metro. It is not McDonald’s. I could not see the difference at first. Well, I wanted to go to McDonald’s, but I didn’t have enough time. 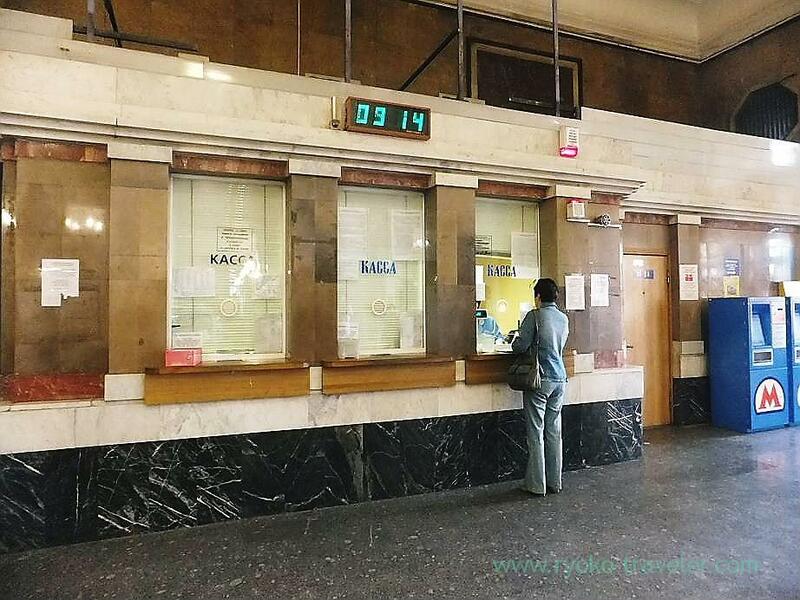 Our guide went to ticket office to buy platform tickets. 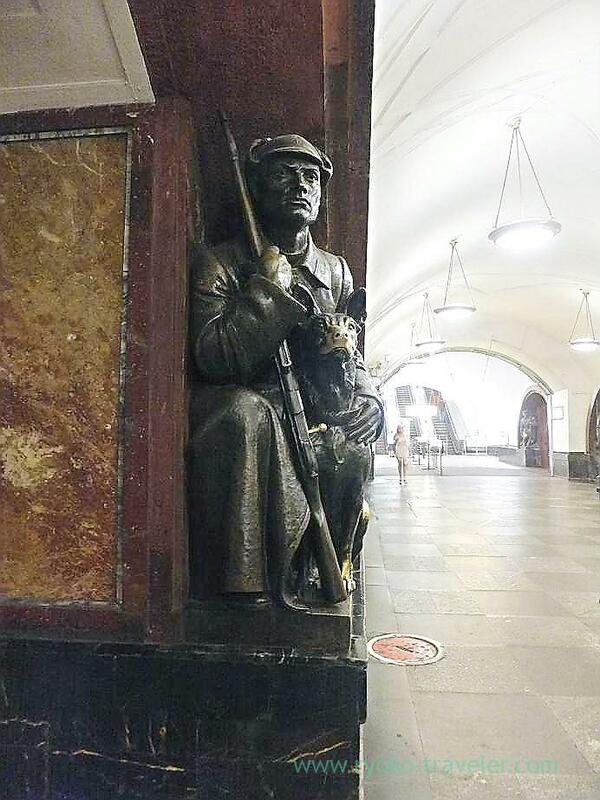 There are many bronze statues like that on the platform. This is a soldier stooping with his gun. As the station name says, I think they were concerned with the revolution. 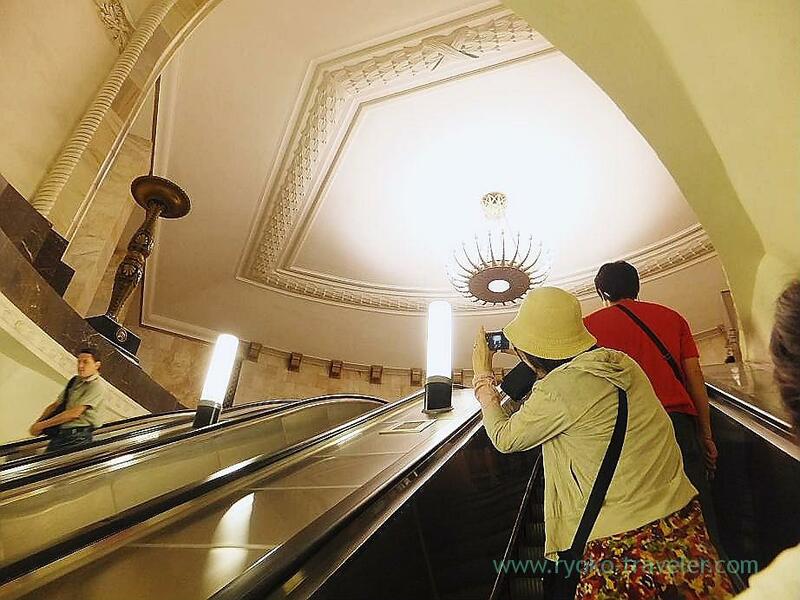 I heard a rumor that escalators in metro stations in Russia work so fast. But it didn’t work so fast. Certainly, it might be danger if I had suitcase. And if was a little difficult for me to get off the escalator. In the poor light, faces of these bronze statues look like being cornered. I felt it was groomy in the station. It looked like more gorgeous bombproof shelter than subway station. Of course, they mean that, too. So, this station is constructed in such a deeper place. 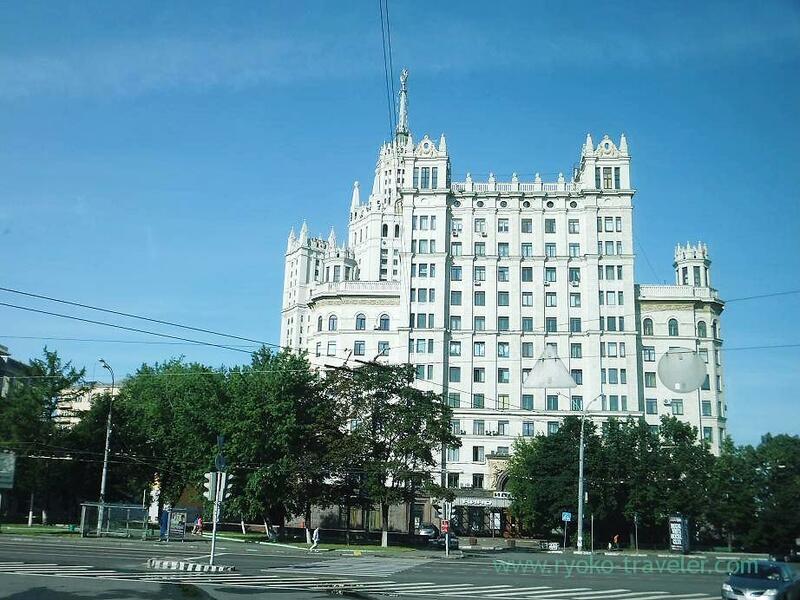 Our Moscow time is very short, and I have to visit there again in the near future. There’re many things that should be seen ! 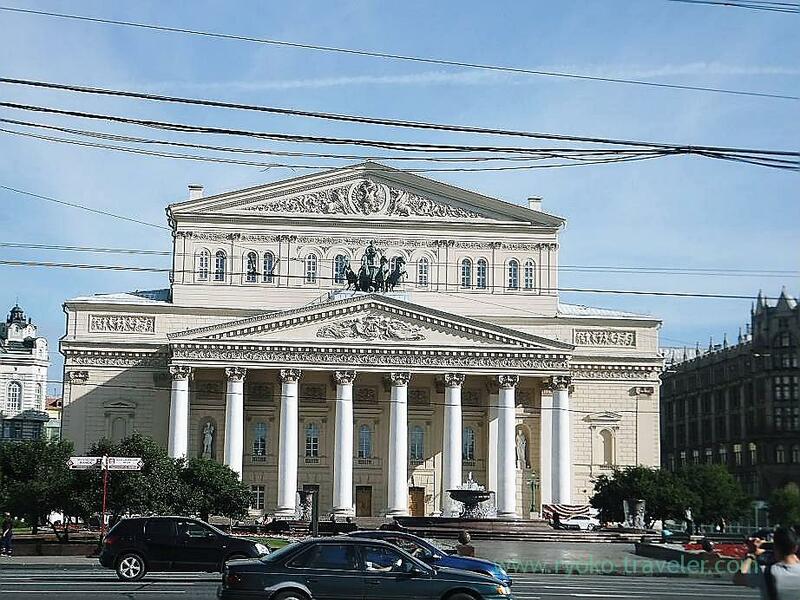 Also I want to go into the Bolshoi theater !